Ideal for indoor or outdoor container gardening, this tapered style resin planter is a tough, lightweight alternative to clay or ceramic planters. The traditional tapered design features natural textures and decorative embellishments to add a beautiful accent to your home. Thick walls and the planter's attractive rolled lip offer added durability, and optional punch-out drainage holes help prevent overwatering. 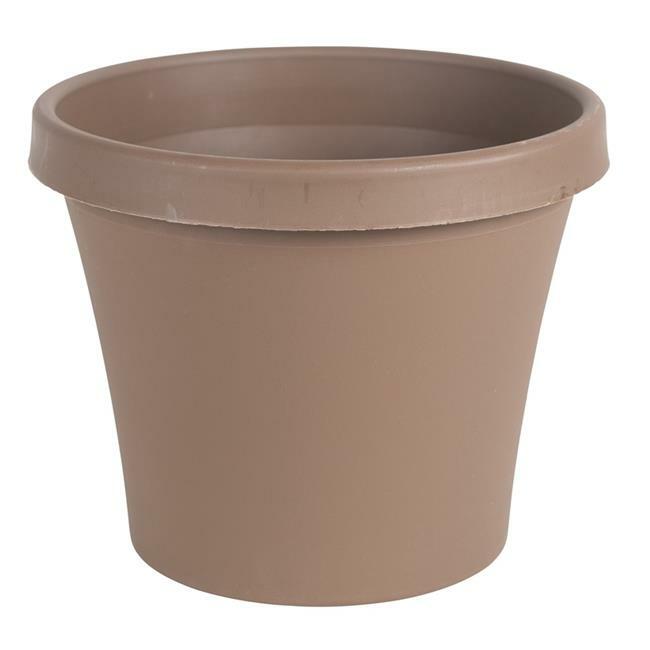 Made with high-quality color pigments and UV additives, this planter offers excellent all-weather durability.